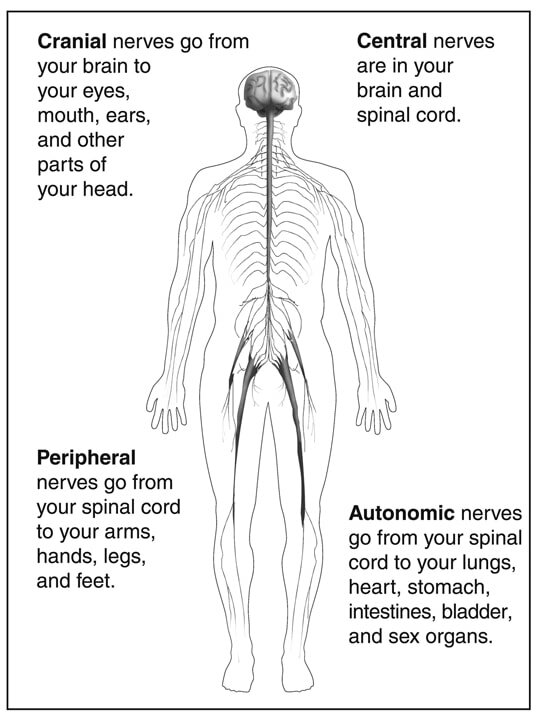 The nervous system is made up of all the nerve cells in your body. It is through the nervous system that we communicate with the outside world and, at the same time, all mechanisms inside our body are controlled. The nervous system takes in information through our senses, processes the information and triggers reactions, such as making your muscles move or causing you to feel pain. There are many billions of nerve cells, also called neurons, in the nervous system. The brain alone has about 100 billion neurons in it. Each neuron has a cell body and various extensions. The shorter extensions (called dendrites) act like antennae: they receive signals from, for example, other neurons and pass them on to the cell body. The signals are then passed on via a long extension (the axon), which can be up to a meter long. The cranial nerves are 12 pairs of nerves that can be seen on the ventral (bottom) surface of the brain. 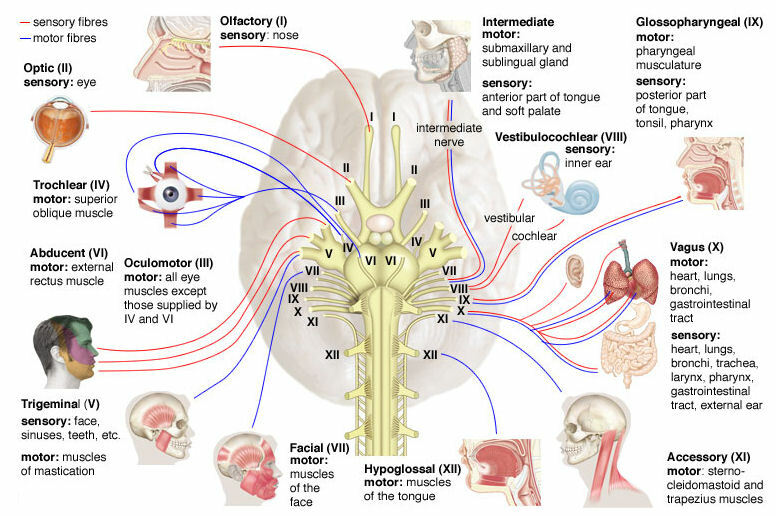 Some of these nerves bring information from the sense organs to the brain; other cranial nerves control muscles; other cranial nerves are connected to glands or internal organs such as the heart and lungs. The Vagus & Optic cranial nerves are of extreme importance to energy cultivators. A Dantian (Chinese: 丹田, pinyin: dāntián, Wade-Giles: tan-t’ien‚ pronunciation) is a centre of Chi (life energy). The Dantian are central points of reference in Chi Gong, Neigong, Taoyin (Daoist Yoga), internal martial arts and Traditional Chinese Medicine. Depending on the art and the focus of the specific exercise, breathing techniques and/or awareness are directed to one of the Dantian. There are three main Dantian: the lower Dantian, the middle Dantian and the upper Dantian. They represent the bodies’ functional and energetic centres of gravity. The term Dantian used by itself usually refers to the lower Dantian, which is the main energy centre. These power are facilities which are given to us from birth, how we use them determines how flexible of each centre. Through the use of Tai chi, Qi gong, Mediation, Word power these centres can be balanced and expanded. Once these process begin an unfoldment we gain an opportunity to experience situation in the world to resolve these imbalances within each centre. This can be a uncomfortable journey especially if done alone, so joining a group of like minded people who are on the same journey maybe at different parts, however will allow for space to grow supported. 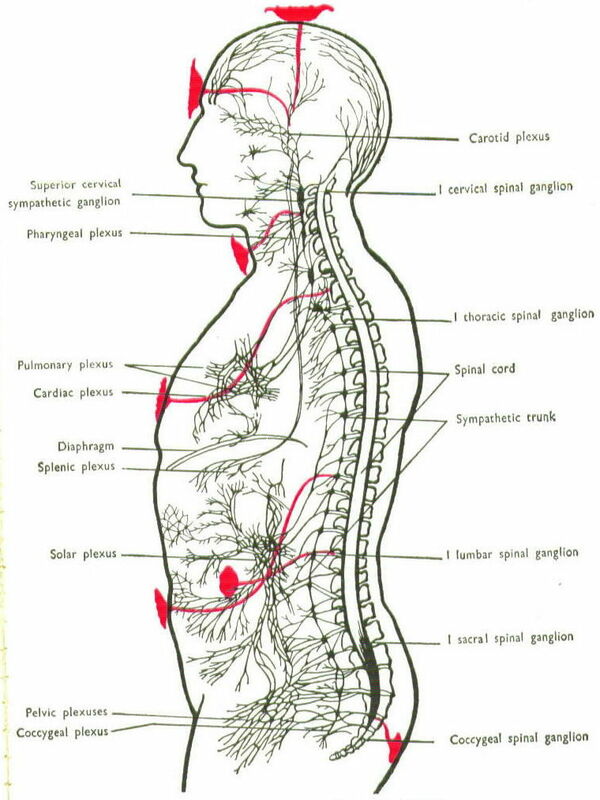 They are energy channels 'transporting' life energy (Chi/Qi) throughout the body. 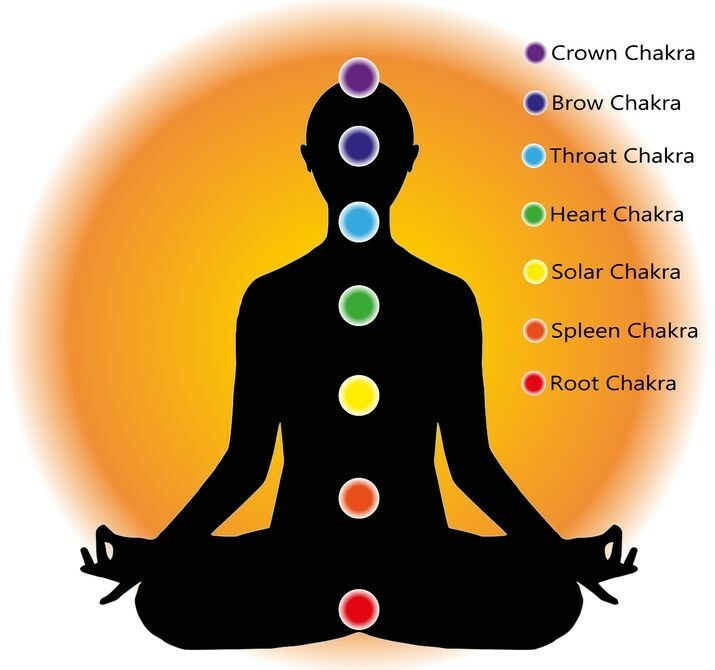 The meridians themselves do not begin or end on the outside of the body, but originate deep within the organs and vital energetic centers (Chakras) of the body. Studying the meridian pathways and Acupressure points for transmitting Chi healing energy is key to 'transformational' energy work. The Meridian Clock Each Meridian is most active at certain times of the day/night this is helpful in pin-pointing deficient or over-active meridian function﻿. 6 yang and 6 yin – yin and yang forming a pair. The eight extraordinary meridians are of pivotal importance in the study of Chi gong, Tai chi ch'uan and Chinese alchemy. These eight extra meridians are different to the standard twelve organ meridians in that they are considered to be storage vessels or reservoirs of energy and are not associated directly with the Zang Fu, i.e. internal organs. These channels were first systematically referred to in the "Spiritual Axis". Each energetic centre has a connection the endocrine gland These centres are well know and are now the standard formula for spiritual alchemy, however the whole story hasn't been told linking the 7 chakras and 12 powers you get a better understanding on the fields that surround you. This leads to a better communication with the world around and within. These teaching are expanding and explained during the practice of Chi gong in class.